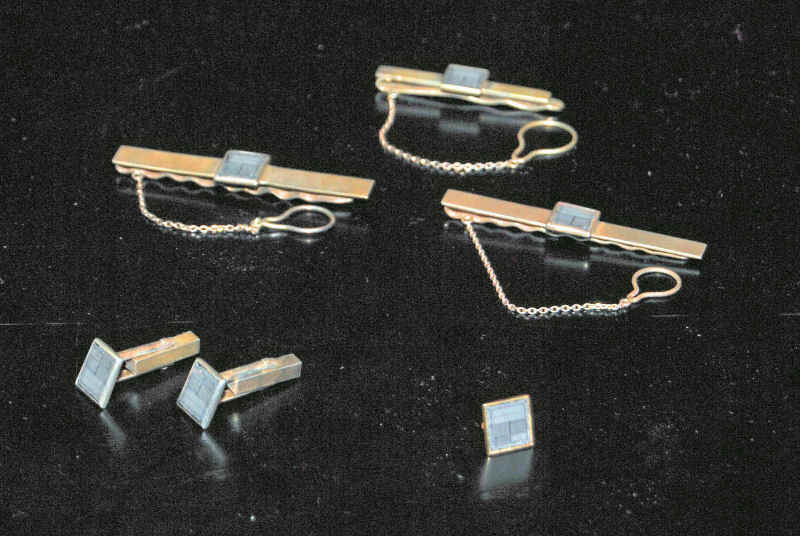 In late 1989, I commissioned a local jeweler with tie pins, cufflinks and ear studs using faulty T425 chips to use as higher-end Christmas gifts for existing Transputer customers. The picture shows all the pieces I have left, i.e. 1 pair of cufflinks, 1 ear stud (bottom right) and 3 tie pins that come in two sizes (one rather too narrow for today's ties). Just stumbled across the current INMOS website and thought this might amuse some of you. All the best from Austria.